Sometimes engineering an entirely new solution is not the best course of action. Engineers at NASA and HP Enterprise certainly believed this mantra when launching the Spaceborne Computer to the ISS in 2017. 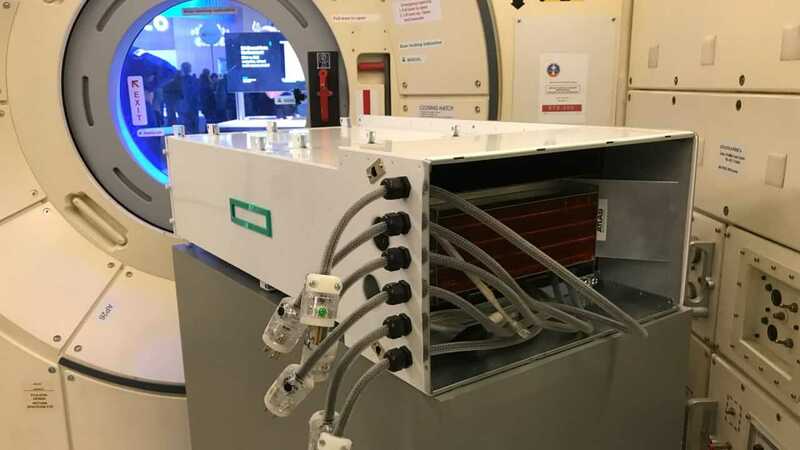 In what amounts of an off-the-shelf server that has the compute power of around 30 laptops, the Spaceborne Computer uses the same hardware found inside of data centers on Earth. Software has been added to often check for power fluctuations and to look for signs of improperly computed results. Running on a Linux distribution, Spaceborne turns out a little over one trillion calculations per second. Physically, the unit weighs in at 124 pounds but given its use in a zero gravity environment, this hardly matters after it left the launchpad. It is currently mounted to the ceiling of the ISS using only a handful of bolts. Due to the failure of the Soyuz rocket last month, Spaceborne is getting an extended stay at the ISS. For crew members aboard the ISS, this will offer significant benefits. Sending data back and forth from Earth can take a long time. Being able to work locally eliminates that bottleneck. Looking towards the future, traditional wireless communication can take up to 24 minutes for a packet to reach Mars from Earth. A space-worthy supercomputer could drastically reduce that time. Operating in space has brought about a small number of problems. For some yet to be determined reason, solid state drives are failing at an usually high rate. Out of the 20 SSDs in the computer, nine of them failed prematurely. Vibrations from the launch vehicle, erratic radiation levels, or simply unstable power delivery are just a few conditions that SSDs are not usually subjected to. At some point in the future (estimated April 2019), Spaceborne will be brought back down to Earth for a full examination. A team will break out a fancy microscope to find even the smallest bits of damage caused to the components that spent their life in space. For the kind of calculations they need, the latest iPhone with its A12 chip would more than suffice. It will be bricked by leaking noble gases. Digitalzone, Godel, mcborge and 1 other person like this. Any processor CAN run the calculations they need. You can do it by hand on paper if you choose. But it's the speed and efficiency that matter, and the Apple chips are mere toys in comparison to Tesla GPUs. Does that motherboard layout look wrong to anyone else? 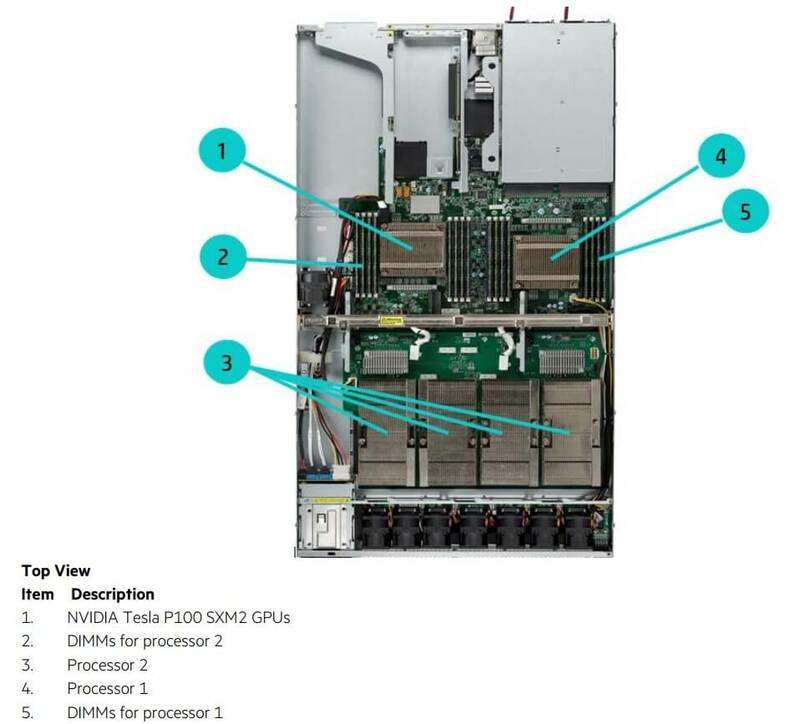 Why do the "Tesla GPUs" look just like the main CPU, and why are there DIMMs next to it? - Weight doesn't matter in space, but mass /does/. That 124lbs of mass doesn't simply 'go away' when on the float. It affects everything from the fuel use of the station and its rotation, to potential injury to an astronaut if they need to move it. - A space worthy super computer wouldn't reduce communication lag in space, it simply reduces the need to send data back and forth at all. It would reduce communication time (saving energy), but not transmission time (having no impact on energy). - They're more interested in things like wear and dust collection, mechanical issues, than they are about electrical or computational issues. There have been computers in space since at least the Apollo launches, and I believe the Gemini and Mercury launches. CloudCatcher and JaredTheDragon like this. Seriously Dude , You getting a Dell! And we're supposed believe we went to the moon on technology less than a modern day calculator? The SSD failures have to be cosmic ray related. Um yes? Going to the moon didn't require an extremely complicated powerful computer. You aren't folding proteins or running a global weather model. Problems that have enormous depth of variables to get an accurate simulation. You're just using it to give answers to relatively straightforward mathematical inquiries for navigation position, dock angles, burn times for Delta-v etc. The calculations could be done manually with a slide rule, paper and a bit of time if needed. The astronauts were trained for this, in case of any problems. Apollo 13 could not use the Apollo Guidance Computer to get home, they had to turn everything electrical off to save power. So they didn't use a primitive digital computer to fly to the moon and back. They used a slide rule. You're partially correct. The SSD failures are due to bombardment of charge in space, both the Earth's and the sun's. And the moon's as well, though to a much lesser extent. Charge is photons. "Cosmic rays" are also photons. They aren't "rays", which would have infinite length obviously, but photons from space are often still called "rays", just like light is called rays. It's a particle, not a ray. It's radius and mass are determined by its spin levels, which the old-school conflated as "wavelength". I'll clarify when I say cosmic ray I use the commonly accepted definition, that of massive particles with a resting mass. So yes, they are definitely particles you got that right. But a cosmic ray isn't a photon, because they are just energy, massless particles. Cosmic rays are usually protons travelling at insane speed. They have resting mass. Possibly tiny bits of an exploding star flung out across the galaxy at near light speed. They can quite easily flip bits and corrupt data of aircraft higher up in the atmosphere, even easier so satellites and on the space station. The problem has only become more prevalent as transistors have gotten smaller and denser as you would expect! I imagine stuff like SSDs would be particularly vulnerable, as they pack a massive amount of the smallest transistors into the smallest areas, even 3D stacking it up these days. Said transistors now commonly storing 3 states or more, easily affected by a cosmic ray battering through. Presumably the drives used on the space station are enterprise grade (like SLC) and more durable than consumer drives. Which makes their regular failures a little more surprising. I wonder if they will get warranty on their failed SSD's?